All of the below information comes directly from job reviews written by Sky employees based on 174 reviews. - Be completely up to date with Sky's new releases. - Use examples of when you have displayed certain attributes to put your strengths into context. - Show your passion for the brand. - Examples where you have shown: teamwork, leadership, persuasion, dealt with a difficult person. - What you understand the role to be. - Make sure to ask questions. - Why you want to work for Sky. Make sure to show you have an interest in the company and the career you have chosen. Show the core behaviours and provide interesting examples of your use of those behaviours. Ensure that you review Sky's key behaviours prior to going into interview. Sky as a company are more about the person as opposed to the degree grading, so ensure that you exhibit the correct behaviours. Ensure you know why you want to work in strategy and in particular strategy within Sky. Research Sky and be aware of our products, latest initiatives, investments, etc. Also make sure you research Sky's competitors and understand the competitive landscape we operate in. It is also helpful to have a brief look at Sky's financial results which are published online. Make sure you prepare and have examples for all the standard competency questions (leadership, communication, teamwork skills, etc.). Again do your research on Sky as a company, our objectives, customers, products and any latest initiatives and challenges. Look at Sky's values as well as these are a key part of Sky's culture and what you will be judged on. Ensure you are yourself as Sky is a very friendly/open company and the people that will be interviewing you are from the strategy department and could be your future colleagues. Finally, come prepared with some questions for the interviewers to show your interest in the strategy team and that you want to learn more about the team you are applying for. Have clear reasons for why you want to work for Sky over others. Also, be yourself. Sky are looking closely at the person you are as well your job capabilities. Research Sky Behaviours in depth and understand how you have showcased these behaviour. Think about what work environment you can see yourself in and whether Sky fits that picture. Speak to as many Sky graduates as possible to gain insight into what they do and to learn more about roles available. Use the STAR approach to answer competency questions. Don't plan what you want to say word for word. Instead have an idea what questions they may ask and make some bullet point lists of key points that showcase how you've demonstrated your skills. Have this template in mind when you are asked questions, it will sound more natural and won't sound like you're reading off a script. Try not to be nervous, see it as a friendly chat and use questions at the end to find out more about what the Interviewer's do. Definitely ask questions to show your engagement. Show your passion for the company and its products throughout the application process. Show that you have done your research on current affairs and also let the company know what you can offer. The phone interview and AC are quite relaxed and actually turned out to be enjoyable. Try not to be nervous and practice a few general answers beforehand so that they come out smoothly and without hesitation on the day. Really look into the company to show that you are interested in the products and services we provide. A key question I was asked in my interview was why I was switching from my unrelated degree to a career in technology. Don't be too arrogant as I feel like in the interview they are looking for if you would fit in the relaxed and friendly culture here. Always be truthful and read up on the company before applying. Don't make your application generic, make it stand out. Be yourself and show your personality in your application. Try to explain why you have a genuine passion for finance and Sky Products and outline the impact you feel you could make at Sky. Think of examples of when you have displayed the skillset we look for at Sky. Learn the 6 key behaviours and prepare answers of when you have shown these in action. It doesn't matter if these are from Uni, School, Part time jobs or otherwise - you aren't expected to have a massive bank of experience yet. Really try and sell yourself and why your skill set can match what Sky are looking for in its candidates. Show good knowledge of the company as a whole, as well as the Finance side. Ensure you have good knowledge of the company and be passionate about what you want to do, whether it be Finance or HR. There are videos and blogs online that I used on the Sky graduate website which helped a lot too, to give me an idea of what to expect. Be passionate and enthusiastic in the role you are applying for. The majority of what you do within Sky is around relationships, so demonstrating you are personable and can build a great rapport with people is a great asset. Learn all about the company and the role / area you are applying for. Use your family and friends to get a different perspective on what they think the role would consist of if you can't find that much information through LinkedIn and the advertisement etc. Don't be generic! Mention what aspect(s) of Sky you're most interested in and why. Mention campaigns that you've seen that you liked, know about the market and competitors as a whole not just Sky, and do some research about the grad scheme and mention what aspects you're most excited about. Sky is just as much about relationships with colleagues as it is the work you do and execute, so be yourself! The interviewers are not looking for what you don't know, but what you do and how you can apply that information. They're not trying to catch you out! Research the company, the role and the Sky Behaviours. Be prepared for challenging questions and situations with clear examples and reasoning. Let your personality and passion for the role come through. Have a thorough understanding of the business. There is no textbook definition of this role, it is more exciting and far more varied than the job description would lead you to believe. There is life outside London - this opportunity will prepare you to work outside the London bubble, across the UK and around the world. Prepare solid, recent examples of competencies. Research the company, current projects and strategic goals, along with new offerings for products and services on the horizon. Vision and values are essential to Sky; make an effort to research "Believe in Better" or else you have no chance. People are the centre of this organisation - if you don't enjoy working with others, or cannot demonstrate this you have no chance. Really focus on doing yourself justice at the written application stage. Don't just copy and paste your answers from other applications. Being specific to yourself and Sky is really important, and a number of applicants are filtered out at this stage so definitely worth putting some time into. Don't be afraid to ask questions in the interviews if you don't understand; all my interviewers were very friendly and more than willing to answer any questions - it reflects badly if you just 'wing it'. Be enthusiastic, be yourself and while they won't expect you to know everything about Sky definitely know bits of detail that relate to your own interests/skills and passions. And as far as possible, enjoy the experience. Sky has a very relaxed enjoyable working environment day to day so try and allow yourself to experience this in the interview. And finally, definitely don't worry if you feel it's going badly. I thought the assessment centre had gone really badly but received the offer anyway! Do your research and let your passion for the company show. Be prepared to demonstrate that you are very passionate about the industry that Sky operates within - especially TV as that is at the heart of the business. Whether that be Sports, Movies or Entertainment content, Sky wants to create the very best shows for its customers, so do plenty of research and show you are excited about the company. As with many companies, Sky interviewers want to see how you will react to certain scenarios that can occur in everyday life within the workplace. Examples of this might be 'how you work in a team', or 'when you have led the way on a project', for instance. At an assessment centre, you will more than likely also face a group exercise, where you'll be presented with a scenario to test how you work within a team, but also how you can think on your feet. The best tip is just to be yourself! Don't force yourself to try too hard. Otherwise, you could come across as too pushy, but at the same time make sure your voice is heard. Find out about the company and its culture, beyond just reading the website. Show passion, knowledge and authenticity. By yourself and do your homework. Go to the interview prepared with what Sky has done, is doing and what you think the challenges for Sky are or will be in the future. Sky does much more than just TV (eg. NOW TV, Sky Media, content producer, sells content, broadband, Sky Mobile, CSR initiatives etc..), make it clear you know this. - Research as much as you can about the role and try to position that in the context of Sky. - Understand and demonstrate the Sky Behaviours. You hear it all the time, but it really is so important to be yourself. As much as it's important to show Sky what you know about us and our products and initiatives, you want to come away from your interview making them feel that they'd love to have you in their team. E.g tips, questions you were asked etc. Do your research about other things we do aside from our products. We run a number of iniitatives which really show what we care about as a company. In your answers really try to embody our values. Having worked here for over a year now, we really do always come back to these. So try and incorporate these into your responses as much as you can. 1) Highlight throughout the application process how you have demonstrated the 'Sky behaviours', giving detailed examples and references to back this up. This is key to being successful. 2) Research Sky inside and out, and know our products and services to talk through. This will help showcase your passion and enthusiasm for the business. This is a second chance to re-emphasise how you have demonstrated the Sky behaviours and your knowledge about Sky. Do your research and pre-prepare case study examples you can use in answer to skill based questions. Most of all, make sure to be yourself! Don't be afraid to show your personality - Sky want friendly team players who will get on with everyone in the office and this is something they will be looking out for in both the telephone interview and the assessment centre. Emphasise your strengths, but remain truthful and don't exaggerate them. Should also make sure you research the company and industry to make sure you know all you can about the different areas in which Sky works. I'd repeat my advice for the application process, but I'd add that you should be yourself in interviews, answer questions clearly and try not to stray off on a tangent. One thing I'd point out is that the interviewers are looking at how you are as a person - not just the skills and qualifications you have on paper but your attitude to work and how you interact with others among other things. Be yourself - it doesn't matter what your background is, as long as you show a genuine enthusiasm for the role you'll be given your chance to shine. Have a thorough knowledge of Sky products as well as Sky's future direction and values. Reading the annual report can help with this. Understand how all the different departments of the company fit together. Keep an eye on business news to understand what the department you're applying for might be focusing on. Think about how you can demonstrate the behaviours described in the application. Try and understand exactly what the role entails and focus answers on the job. Make sure you know what the department will be focusing on at the moment. Spend lots of time on the application form, don't rush it. Get to know Sky as a business before you start working on it. Be yourself, everyone is really nice and although it will be intense there's no need to be nervous. Make sure and do your research surrounding Sky's products and company culture. Being able to give a solid answer as to why you would like to specifically work for Sky is very important. Don't be disheartened by a lack of technical experience on your CV - the technology graduate scheme is as much aimed at future leaders as future engineers, and a strong array of soft skills from any background is equally valuable. At the interview/AC stage, the most important thing is to show that you are a fit with the company culture. As previously mentioned, your specific previous technical experience or qualifications take a backseat compared to this. You need to strike the balance between being confident and enthusiastic, but also a solid team player, who those interviewing you would genuinely want to work with on a day to day basis. So speak up but don't overpower the whole discussion all the time. And take extra care not to come across as arrogant or aloof, especially if you feel you have the qualifications and experience to justify being so. Be passionate about the area/ company you are applying for and do your research! Be as relaxed as you can be and be friendly because the interviewer isn't there to trip you up. Whatever your strengths, be clear in demonstrating how you will use these to benefit both yourself and Sky. For me, it came back down to my analytical skills and I thought carefully about ways in which I could harness these skills into a role in Technology. Just be yourself and let your personality shine through. Do your research and finally, come prepared with some questions! I had a good chat with my interviewers about cyber security. It demonstrates that you have a genuine interest in the company. Be ready to work hard, but be ready to love doing it. Do your research on the people not just the brands, and the future not just the past or present. Get to know everything Sky and its competitors. Come across as someone who people would enjoy working with, as well as showing you know your stuff. Put in 100% effort in the initial stages of your application and be yourself during the interview process. Focus on the Sky behaviours and read the grad blogs on the Starting Out website, they give a really good insight into what life at Sky is all about. Use the STAR technique and know all about Sky's extra initiatives. Be passionate about the brand. Know why you want to work for Sky. It's easy to copy and paste your responses to application forms, but if you treat applications like a production line, it's obvious to those people evaluating (who work at the company) that you're making generic statements of interest. Communication, collaboration and team work are highly valued. Trying to be the shining light isn't looked upon favourably. Do your research on Sky and make sure you know about their products. Show your passion and genuine interest in Technology. Relax! Sky behaviours are key - you may be the best candidate on paper but Sky adhere to and promote 6 key behaviours and demonstrating this throughout the whole application process is essential and may be the difference between someone getting the job and someone not. Be clear in WHY you want to apply for that specific programme- if it is technology show passion and genuine interest in this rather than a generic response about applying for various grad programmes. Be yourself and be honest - if you're giving examples that are untrue it is easy to trip yourself up, whereas telling the truth means you can always get back on track to what you are trying to say. Competency based question - STAR technique and being clear and concise in these is important. Group work and presentation skills also important. Let your personality shine through - it is as much an opportunity for the company to get to know you as it is the other way around. Spend a good amount of time on Sky's website researching more about the company. When answering the questions try to be specific about why Sky and why this particular role. The interview has competency based questions so try to follow the STAR technique. Also try to be yourself and show your personality. When answering questions use in depth examples that really reflect your personality. Also make sure they are relevant to the question and the company and provide support for any claims you have made about yourself. One of the best things about the Technology Graduate scheme is the flexibility you have to shape your roles - it therefore needs to be clear that you are open minded and willing to learn. As mentioned above, relevant and in-depth examples are vital. Also have a clear idea of why you want to work at Sky specifically. Ensure you touch on aspects of Sky and the Technology Graduate scheme that are unique. Finally, it's cliche but be yourself - Sky pride themselves on selecting candidates that are diverse. Not just in gender and ethnicity but also in the way you make decisions and approach tasks. Recognise your strengths and weaknesses and how you plan to improve and learn while on the graduate scheme. Make sure you research the company before applying, Sky is extremely fast paced so you will need to be looking at what they are doing all the time, especially when it comes to assessment centre and interviews. I was asked the typical interview questions, why Sky, why you would make a good asset to the team and so on. My main advice is to make sure you be yourself and think about the answers before you answer. Be knowledgeable about the company, Sky is a diverse company, awareness of all its different areas will be essential. Makes sure you research Sky...It's more complicated than the Premier League and Game of Thrones. Be yourself...most people at Sky are very nice. There will be an unattended coding test, make it sure it is easy to setup. Assessment centres for software engineering are usually very fun, with you working together to build a piece of software. Use as many examples as possible from university, work experience and hobbies. Use examples that are a bit different and that would make you stand out. The assessment centres are informal in comparison to other companies, so try to be yourself and work well with others on the day. It is not a competition and in most cases there is enough flexibility to take on everyone that performs well. Be confident and show you have a passion for technology. Try developing something in your spare time or show that you keep up with the latest developments. Not everyone who applies for this scheme has to have studied an IT related course, so if you enjoy technology and can show some skill in coding then you can get the job. Have an understanding of software development and Agile methods. Know a little about Sky's OTT products such as Sky Go and NOW TV. Show your company research throughout your application and make sure you are constantly relating answers back to the Sky Behaviours. Work through the questions in a logical, structured manner. It really pays to be yourself and show personality. Sky don't hire corporate robots and everyone is very friendly so don't be afraid to be yourself! A huge part of Sky's ethos is communication and teamwork so good interaction is key. Make sure you also research Sky inside out and are prepared to answer why you want to work in the sector you have chosen. Just be yourself. Sky select candidates with a diverse range of backgrounds, from traditional finance subjects to Sciences, History or Geology, so don't be put off from applying because you think you don't "fit". Be yourself but also be prepared. Even if you are asked a question that you might not necessarily have experienced, instead of saying nothing, you could say.. well, I don't have experience of it however had I been in the situation this is what I would do.. Demonstrate interest in new and upcoming technologies. Really research the company and the department you want to go into. Find specific information that you found particularly interesting and want to share. Show your personality and what makes you, you. They want to get to know you. Be yourself. Sky are looking for people that fit in with the company ethos and working environment, and that requires more than just being top of the class at accounting. You need to be personable too! Be enthusiastic. Don't be afraid to show your enthusiasm. Good nature will get you far. - Read up on Sky. - Make sure you are yourself. Have a genuine passion for technology, try to display your strengths for working with people, do not be cocky or over confident. Confidence is great but no one wants to work with someone who is cocky! Display your passion for Technology and try to relate your answers to the Sky Principles. Show your passion for the company. - Good product knowledge, recent press releases, etc. Be yourself and confident. - Don't try and be the person you think they want you to be. Do your research on Sky's core values, this is something that we really look for in candidates when they apply. We want to know that you will be a great fit in our Sky Team! The interview is not scary! The people are so friendly and they want you to do well! Prepare competency based answers and let your passion shine through for the role. Be prepared to get across all elements of marketing not just brand but strategy, commerical and below the line roles. 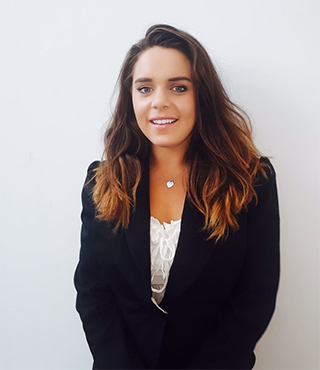 It is really important to get a wider view on marketing rather than just a brand focus and Sky are keen to ensure this on the marketing graduate scheme. It's a standard one but just be yourself, show a passion for all areas of marketing, Sky as a brand but also Sky as a way of life... and be smiley! Think about how you could contribute to marketing at Sky and how you could make a difference! Enthusiasm and drive to learn new things. Relevant experience is handy but not necessary, be nice to everyone. Use your own experiences as answers to questions you may be asked in the application form. Do not make up something that you think sounds good. Or for example if there is a question about give an example of when you have achieved a target under pressure, don't give an answer of an imaginary situation on how you would like to handle something. Be yourself as this is ultimately what your colleagues will see if you work there in the future. Carefully research the projects the company has recently delivered/is currently delivering. Make sure you know as much about what the role involves as possible. Think of examples of things you have done either in education, work or personal interests that might reflect the key skills referenced on the Sky website and in the job description. Consider how your work (from a project delivery perspective) might impact/involve different areas of the wider Sky business..
Research CIMA commitments; be friendly and outgoing; try and be competent on Excel before you start but plenty of training is provided if not. Show a passion for the role and show that you care; do research on the company so you're not walking in blind. Be yourself. At Sky we don't necessarily look for the technically best person. Fitting in with the team and communicating effectively are just as important. If you come to an assessment day and perform amazingly from a technical aspect but completely ignore teamwork, you won't be offered a role. Be yourself, and think of any questions to ask. The interview process is not just about the employer interviewing the candidate, but for the candidate to find out if the company is a good fit too. Know the company. Don't throw your application together in five minutes because a find and replace to change your application responses for the previous company to the word "Sky" won't cut it. Our HR team are pretty strong on seeing those that have taken the time to read up, evaluate and make a decision on whether Sky is a place they really see themselves working or not. You need to show why you're passionate too. 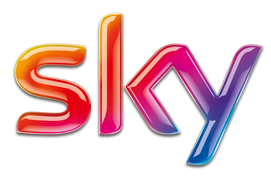 We all know Sky is well knwon for its content but you need to say why else you want to work for Sky. Is it technology? The culture? Or our CSR activities? Be yourself. You can't go through an all day assessment centre playing a game, you'll be found out at some point. So be honest, up front and be the person you are. A procurement graduate is likely to be different to a technology graduate to a marketing graduate. We're not robots, so show your true colours and if you're a good fit, you'll get the nod! Your passion for what you do should be clear from the application. Do mention relevant interests and hobbies, show that you really want to be doing what you are applying for. Don't underestimate how important it is to show that you work well with others. It's a core part of the business, and you need to show that you want to be a part of it. It helps if you've done some work with web applications before, although this isn't essential. Be open to trying/learning new technologies. Don't be afraid of pair-programming! Research Sky and its various products. If applying for software development role make sure to fully understand agile methodologies. Experience with Open Source technologies is also a plus. Be confident and receptive to advice. Ability to work as part of a team and to learn quickly from peers is highly valued. Make sure you know the specifics of the scheme and have good reasons why you want to join the Software Engineering Academy specifically, as well as why you're interested in working for Sky specifically. Be yourself. They want to imagine they can work with you on a day to day basis. Learn as much as you can about the role you are applying for and then do your research. Be prepared for questions that are focused on the role in the context of Sky. Take your time on the application questions, to plan your answers well before writing it out and to check your writing thoroughly afterwards. I wrote my application over one day, then left it and came back to check it the next day. Taking time away from the application and coming back after a break made it much easier to edit and re-draft before submitting it. For the assessment centre, be ready for a range of tasks and also to meet a lot of new people. Be yourself and don't get too stressed. The atmosphere is pretty relaxed for an assessment centre, because they want to see what sort of person you are, but remember you're still at an interview. Make sure you research Sky, look at the latest financial results and what's currently going on at the company at the moment, e.g. new products, opportunities, challenges. Be really clear about why Sky, why Finance and what makes the company stand out or different. Look on the company website for the key behaviours that they look for as this could help identify potential questions. Make sure when at interviews and assessment centres you ask lots of questions as this makes you look interested and excited. Also have lots of examples ready for the questions, e.g. examples of when in a team, taken ownership of a task, leadership. Having skills as a software developer is important, but not essential. These are taught at a 4 week boot-camp. It is far more important to be yourself and show your enthusiasm and passion for the role and a desire to learn. Don't go worrying about the assessment centre. It's not there to catch you out, it's a chance for you to showcase yourself as an individual. It's unlikely to be like any other assessment centre you may attend, and is a chance for you to experience a day in the life of a developer at Sky, rather than a formal interview. Be yourself. Sky is all about people and being genuine will take you far. Make sure that you demonstrate the Sky behaviours and also make your enthusiasm for Sky products and technology clear! Try and incorporate relevant, up to date examples of campaigns that have impressed you. Know Sky inside and out - research recent innovations, anything about the company that has been in the news etc. Research the company and role you are going into. Calm, patient and think before you speak. You don't need to rush a question. Be clear and concise. Show your passion for Technology and why you want to work for Sky and your credentials will really shine through. Sky are more interested in you as a person as opposed to what you've done in the past, so be yourself and really try to show who you are at heart. Try to get the conversation flowing; showing your passion and interest in the discussion topic can create a good vibe with your interviewer and you'll soon find that you're in the flow of the interview and it just flies by without you having to think twice. Just consider that the person interviewing you was once upon a time in your shoes, so they know exactly how you feel. At the end of the day, they are human, so just try to be as natural as possible and don't let the occasion overwhelm you. Consider what Sky as a brand stands for and express why this is important to you. Research the company, look at business opportunities, developments. look into the what the company does outside of business. Remember that Software Engineering is so much about teamwork and communication. You need to have an aptitude for software development, but don't neglect those "soft" skills as they will be crucial! Enjoy it! It's a good fun assessment day. Make sure you take the opportunity to demonstrate your key skills both technically and also in terms of communicating and collaborating with team mates. Be honest and show enthusiasm. Sky recruiters are big on these so focus on them and on giving examples on showing them. These do not have to be from experiences within the industry i.e. university studies, extra cirricular, unrelated working experiences are all good. Smile and relax. Take your time with your answers and ensure examples you are giving fit the question. Do not ask questions for the sake of thinking you need to ask a question. The interviews are usually as relaxed as an interview can be. Show enthusiasm and knowledge of the company as well as the role. Show an understanding in the wider context of Sky's business areas and demonstrate market knowledge. Learn bash and have a good understanding of linux. Be yourself, have a passion for technology. Be yourself, everyone is encouraged to be themselves at Sky. Try not to think of the interview as an interview. They want to get to know you, try to be as comfortable as possible. - if you had all the money in the world and only your family were on earth how would you spend the money? Tip: Be confident and show some personality, no harm with having a bit of a laugh with the interviewer. Keep focus on why in particular you want to work for Sky - don't send a generic application for why you want to work in Technology, simply because Sky is doing things in Technology that not many others do i.e. Broadcast Technology such as Touch screens, and products such as Sky Go and Sky+. Brush up on your presentation skills, and prepare in depth for Sky Technology related and standard competency based questions. Having knowledge of Sky products (for example their TV channels, and technology) will give you an advantage in interviews, and in the group discussion. Make sure you ask lots of questions - the interviews are also about about you liking the company, as much as it is about them liking you. You have a minimum of 2 years here, so you really need to understand and enjoy the working culture. Be open minded, dynamic and thoughtful. The business questions rarely have a single right answer so be creative and back up your ideas, whilst taking on board alternative concepts. Have your own unique skills and be open to treating everyone equally. You are not competing with your colleagues but are working with them to develop something better and valuable. Be honest about your knowledge and experience and try and communicate how good you are at communicating. The questions in the online application aren't there you catch you out. It's a chance to show off and show why you're special. The interview process is a chance to get to know you as a person. So think of situations to describe which illustrate your character. Know your facts and research the company, the market and product offering. Answering questions from a strategic point of view with the rest of the business in mind is received well. Sky respond to enthusiasm and collaboration. Apply early and make sure you show your passion for wanting to work at Sky and with Technology! Show why you are passionate about working at Sky and what you can bring to Corporate Affairs. It's an exciting company to work for and there is plenty of research you can do beforehand. I was asked about why I want to work in Corporate Affairs, why I want to work at Sky and then behavioural questions such as when have I had to persuade someone, when I have had to work in a team and if I was to do something differently in a situation. Be confident and don't be afraid to apply even if you don't have experience with that particular role. Sky offer good training opportunities and are willing to employ based on people rather than a specific skill set. Be prepared for a long day. Know about Sky - know the products, know the brand and know what we are doing. Understand our competitors, the market landscape, changes in the landscape etc. Be honest and display the competencies. At A/C or Interview be relaxed and be yourself. The culture at Sky is social and relaxed so be yourself. Know the role you are applying for inside out and understand what they are looking for. Understand the function/department you want to go into and the latest news/challenges in the area. Show enthusiasm and interest in your field. Brush up on your coding skills and have fun. Amazing offices and work culture. Always changing with exciting things lined up. Flat structure and pioneering approach to how it operates. Lack of overseas work opportunities. Fastpace work environment, people and job opportunities. Employee benefits. They look after employees really well. With free buses for employees from nearby train stations, affordable gym on site, exciting pop up events on site, employee discounts, opt-in employee health plan benefits etc. Leading entertainment company which is always looking for new and innovative ways to expand. Lots of competitors which means that we cannot relax. Sky cares about its workers, and it is good to be part of a company that does. The rules surrounding exam failures are too strict. It makes job security uncertain. Collaboration and Teamwork across every department and every team. Not working in central london... although the Sky campus is amazing and alot of money has been invested in making it a great place to work, as a young person you miss the buzz of the city. The support you get and the people. Superb brand, excellent business, amazing opportunities to work in a fast-paced environment, offering cutting edge products and services at the top of its game. Responsibility and meaningful work from day one. Great variety and prospects for working on different projects. Free Sky products and benefits, including healthcare, subsidised canteen and gym. Fast paced nature of the business means priorities can change at short notice, putting certain projects or work on the back burner for a while, or stopping them dead in their tracks. Confidence in the graduate scheme, fast paced, driven to innovate. Company culture, benefits and enjoyable work. Strong brand which is doing some really cool things, diversifying in many different markets and products. - The working environment and office space is inspiring and motivating. You very much feel like you're working for an entertainment company. Due to the vast scale of Sky, it can sometimes be a challenge in finding out the person you need to speak to get a certain piece of information. Sky has such an amazing culture and forward looking view. There's always something going on and there are always improvements being made across the board to make things better for customers and staff alike. The worst thing is the public perception, it's a shame as I've realised since joining that Sky does actually want the best for it's customers and staff. Sky supports lots of training opportunities and there's clear career progression. Lots of company perks to make the most of! Great benefits for employees: have employee benefits package and discounts as well as discounted food, gym etc. Internal politics can make graduate experience vary to quite an extent. The focus and investment on career development. Exciting variety of products and industry footholds. Welcoming, supportive and upbeat company culture. Fantastic facilities (if based in Osterley, acceptable elsewhere). Very open attitudes to career movement within the company (both upwards and sideways). Amazing working environment, people and products! The working environment is great, the campus has everything you could possibly need from on site restaurants to our own hairdressers! The flexibility and work/life balance encouraged by Sky is also great. The way we go about doing what we do. It's so fast paced at point's there's not a moment to think. Sky culture and all that comes with that. Limited locations and diverse things covered withing these. A lot of the exciting opportunities tend to be based down South, limiting the opportunity for progression when you have commitments which mean you are unable to relocate. There is a lot of change around the business very often. Also the main office is in Osterley so that's something to keep in mind. A common problem with graduate schemes in large companies - there is sometimes a lack of responsibility available to graduates. This does depend on role, however, and whenever I have been in this situation I have felt able to approach my manager and it has been resolved.